For most of us, drinking coffee has become indispensable. Whether it’s that nightcap, a late afternoon pick-me-up, or that can’t-live-without morning cup, coffee is inarguably one of the most popular beverages in today’s world. But, did you know Finns, Nordic, and Dutch are the biggest consumers of coffee in the world, with annual consumption per capita staggering at 9.6, 7.2 and 6.7 kilogrammes respectively? Well, the biting cold could be to blame, but one thing is sure-fire: coffee is king amidst other beverages! On that note, if you’re a lover of a freshly brewed cup of coffee, then you must be curious about how it’s grown. 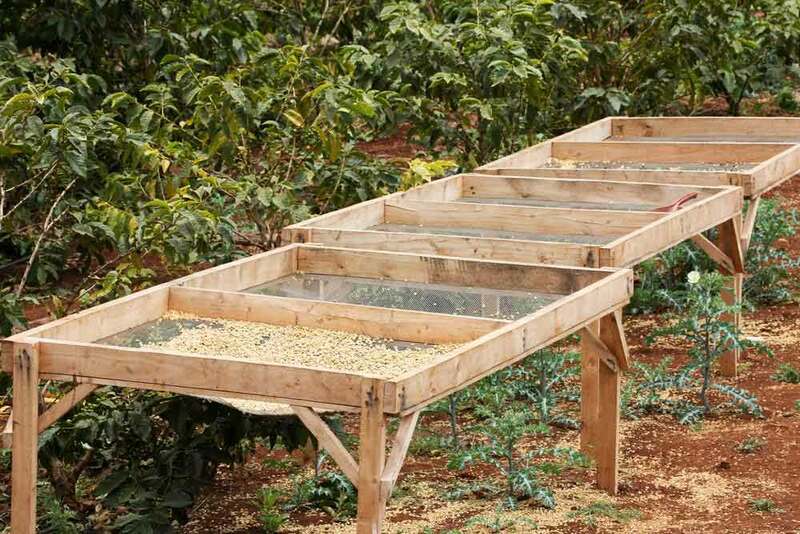 Today, we’ll lay that bare with a quick guide to coffee husbandry, from the planting to harvesting. Read on. Native to some parts of sub-tropical Africa, coffee grows up to 5m high but can be pruned to 2m for maximum lateral growth. It has glossy green leaves and blossoms jasmine-scented flowers that duly transform into green berries which turn bright red when ripe. The plant generally does well in the slightly acidic but well-drained soil. 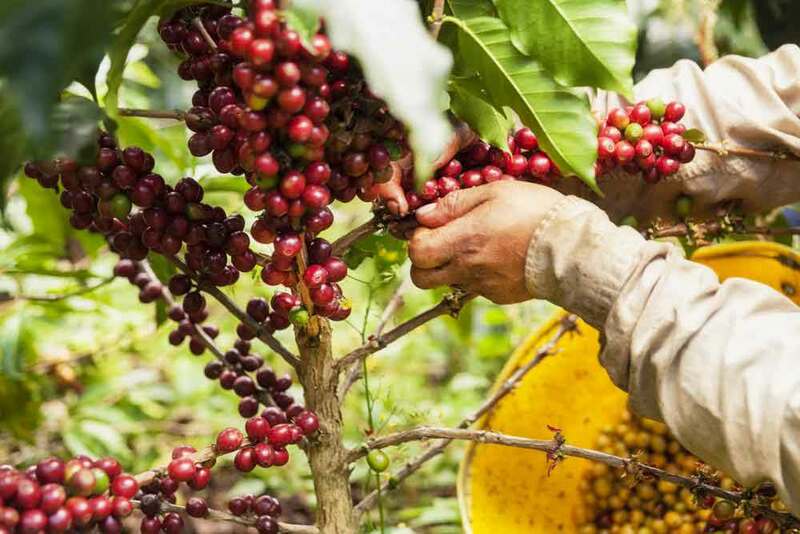 Of the world’s coffee growing regions, Brazil, Colombia, Indonesia, Vietnam, Mexico, Ethiopia, and India are the biggest growers, churning out over 70% of coffee beans consumed across the globe. Coffee beans are distinguished based on their shape, aroma, flavour, and acidity, four characteristics that vary depending on origin, processing, and varietals. The varietals are typical to regions where they are grown, e.g. Java and Colombian. For example, our bespoke Alma brings together the bright & sparkling allure of Indonesian (Java) coffee and the fruity tones of Central and South American coffees, and the result is a coffee blend that has become a darling of many coffee aficionados and enthusiasts alike. 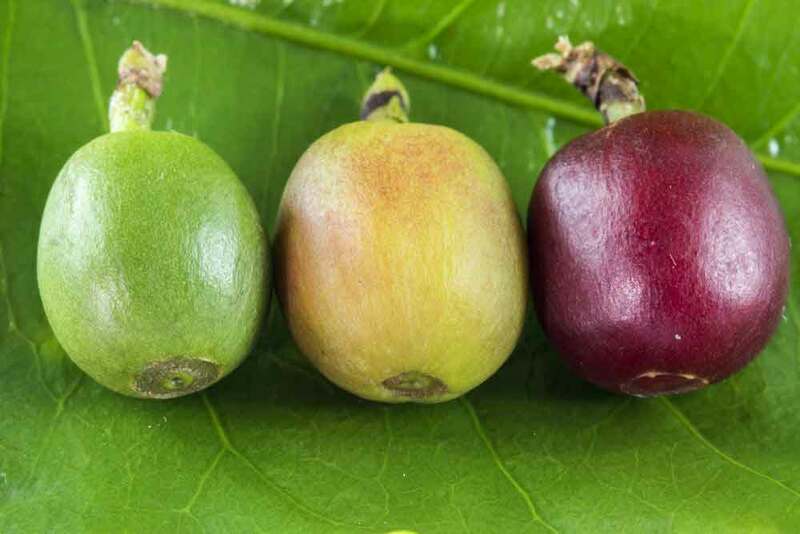 Coffee beans are actually seeds and can be grown into coffee trees. Seeds are usually planted in huge seedbeds in shaded nurseries. When they germinated, the seedlings are watered regularly and protected from scorching sunlight until they are healthy and hearty enough to be transplanted. Planting is undertaken during the rainy (wet) season so that the soil remains well-moist while the roots take ground. Traditionally, 20 seeds are placed in each planting hole because half don’t sprout. 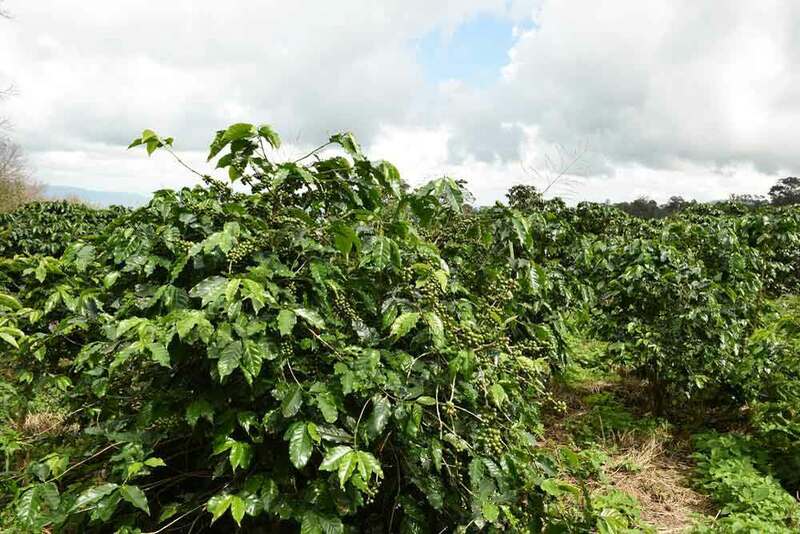 Coffee trees are routinely pruned to ensure robust lateral foliage growth. During formative years (often within the first year), coffee trees are watered with care to avoid water logging. Regular application of fertiliser and weeding are indispensable for bountiful yields. Occasionally, pesticides and fungicides are applied to curb any pest or disease infestation. Green berries will emerge a few days after flowering. Picking is done when the berries are bright red, cherry-like. Careful harvesting is emphasized as berries mature at different times. 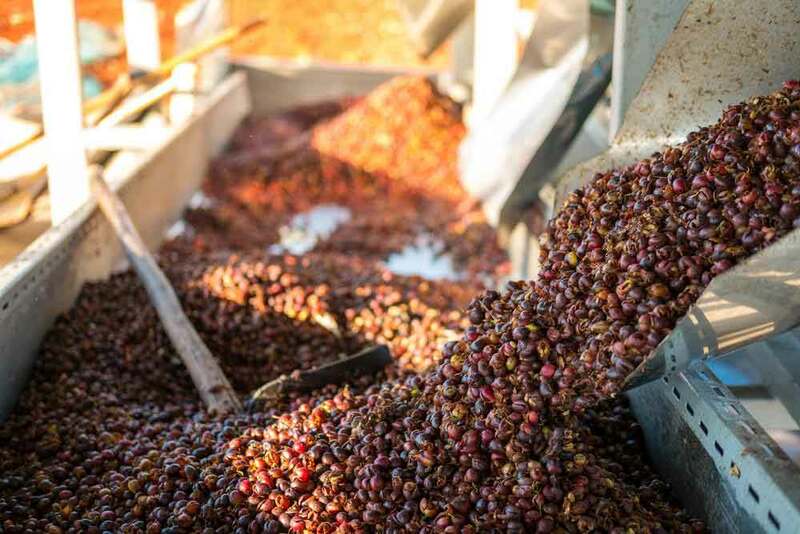 Traditionally, coffee berries are harvested by machine or by hand in either of the two ways: selective or striped picking. After that, they are taken to the factory for processing.